Do you remember when you received multiple invites from Candy Crush Saga on Facebook? Or were you hooked on the game too? How can these games be so addictive? And why should online marketers pay attention to them? And I’m sure you also love them. Because of the excitement they induce, right? People have fun, and this makes them want to play them even more. They are ever willing to spend their time and money on them. And here comes the marketing and sales part of the picture. You also want your customers to spend more of their time, and hopefully, money on your ecommerce or retail business. Don’t you? 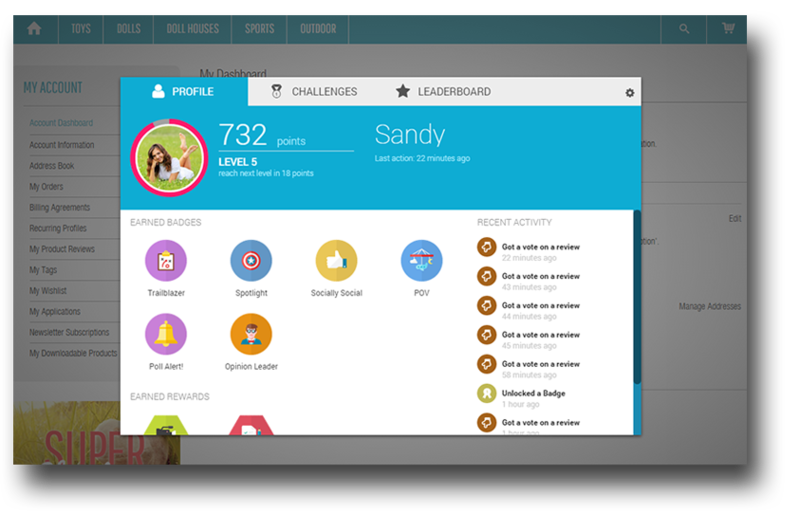 Gamification can be the hotspot in your marketing strategy that can help you reach these goals. Multiple studies have been conducted in this area. I will list 7 typical characteristics of gamification that can help connect your customer’s emotions to your products. Games are so canny! They can reinforce the simplest actions in the world with extra points for boosters or more lives to fight with. And as an action becomes more complex, e.g., taking down a whole zombie league in 5 seconds; the greater the reward that follows. Why don’t you use the same logic at your webshop? Customers will feel joy and happiness if you acknowledge them as precious guests by honoring their simplest actions, and not just their purchases. Let them collect points by singing up to your newsletter list or writing a product review. As a reward, you can give them company swags, special offers, or whatever motivates them to spend more time in your product paradise. You can also distinguish how you reward long-term or beginner customers. You can set up rewards with different values. The precious ones can be earned by long-term customers after actual purchases. Once people get into a game, it’s difficult to distract them. The constant positive recognition, the feasible and sometimes repetitive actions (crushing candies, huh?) make them feel good. You also want your customers to have the same feelings toward you and your company, don’t you? If customers are emotionally attached, then you will be the first one who comes to their mind the next time they need to buy something. In order to gain trust and overcome the monetary limits that a single purchase holds – generate more interactions. Set different goals for them with incentives such as being the first at one of your contests, having the most points among all of your customers, being the customer of the month or of the year. Also, remind them that their collected points are always ready to be redeemed for amusing rewards. Customers can collect points in a playful way for recieving special discounts. As they are working hard for this main goal, they also spend more time on your site and become engaged unconsciously. You have spent all of your moves on Candy Crush Saga, but you are so impatient; and you can’t wait to reach the next level. What would you do? You would invite friends for extra moves. The good thing is that you can apply the same method with more control on your end. How? Your customers can invite their friends in order to gain points, and you can control when they really deserve a reward for it. Have their friends also signed up on your page. Have them fill out a form or view at least one of your product pages. Set some requirements for invited friends that can help determine if they are potential customers or not. 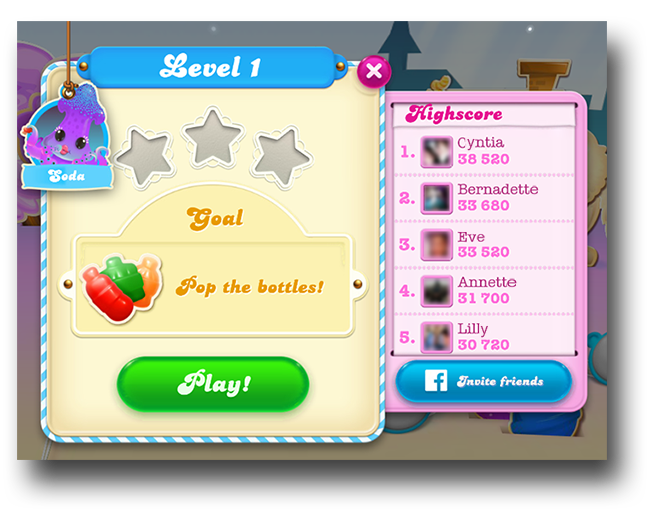 Candy Crush Soda Saga lets people invite friends as soon as they start to play. Showing registered friends’ collected points is a great incentive for participating in the fun and competing with each other. On special events Candy Crush Saga players can get rare items or more virtual cash to spend. They can also reach their goals faster than others and even make it to the top. The key factor here is how quick they are, as these events last for a very short time. Do you already use this method to increase sales? For example, let’s say that the first 3 people who leave a product review can join a VIP group of customers who will be always notified about the next special offers sooner than others. 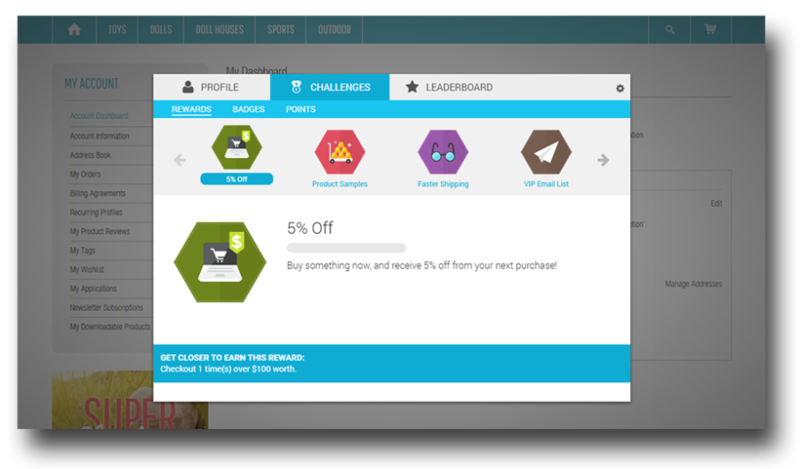 Or you can set an expiry date on coupons and discounts, so people will actually feel the urge to spend it in your shop! 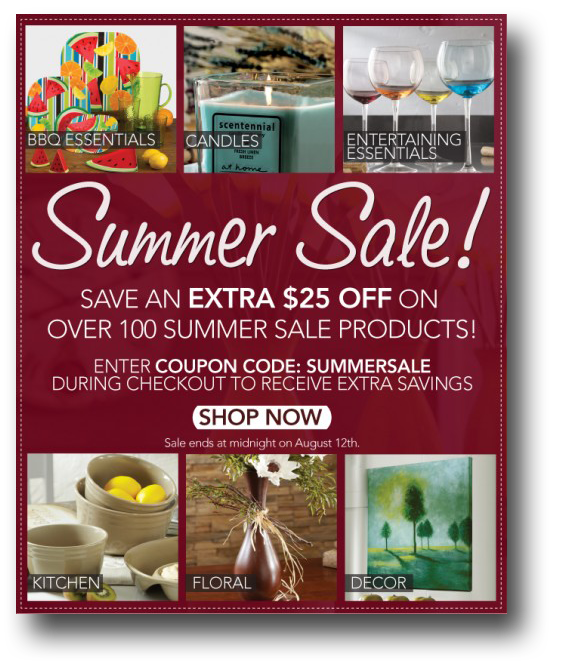 Special offers like this only focus on the disposal of overstocked items with significant discounts, but usually they don’t grab the opportunity to create further engagement. What do you think being a Top Candy Crusher feels like? Pride. He really worked hard and spent an enormous amount of time to get there. He used all the extra opportunities (inviting friends, crushing hidden candies and going to the dentist – okay, I just made the last two up) to get to the top of the leaderboard. You can benefit from offering alternative options too! Offer rewards for those who have left more than 3 product reviews on your page, who uploaded a photo to Instagram with a requested hashtag, who also viewed your YouTube video and shared it with their friends, or downloaded your mobile app. These actions will shake up the life on all of your channels! 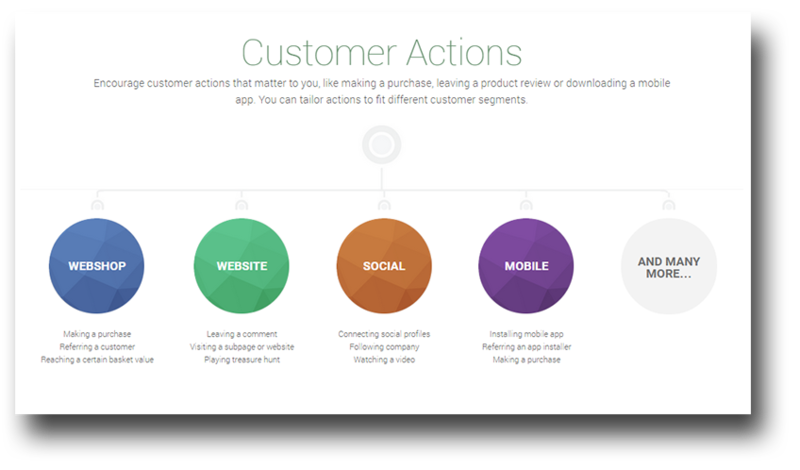 There are multiple customer actions you can incentivize. You need to identify the most important ones for your company, then reward them. Candy crushers work hard to achieve something big which makes them proud. And if their goals are attained, then they are eager to share their glory. 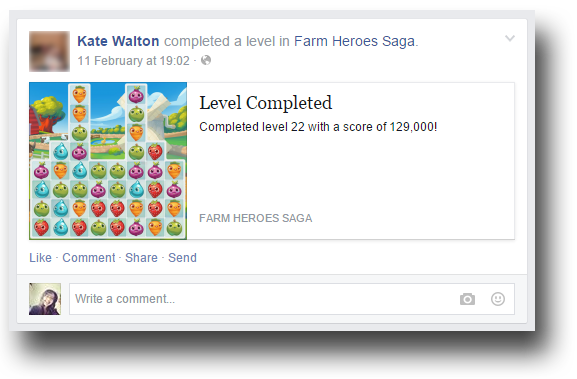 Games are making this step easy by automatically sharing on Facebook, Twitter, Google+ etc. after every great achievement you make. How do you incentivize social shares now? … with a share icon? If so, then it’s not that exciting. People will share if they are in an emotionally high state, e.g., when they are proud. When they just advanced to a higher status, earned a precious reward or received a funny badge which also represents how popular and smart they are. What a cunning way to increase brand awareness don’t you think? Level Completed! Have you seen such proud announcements in your news feed, too? What makes a player go crazy with a desire to play? They just want to experience this very elementary and human need. They only want to be recognized for their qualities. You can use virtual goods like points and badges which stand as proof of their accomplishments. Of course, it’s not worth giving away endlessly non-existing prizes (literally, a shoulder pat) after each action without any real benefits behind them. You can nicely balance virtual and real rewards. Players like to see how well they are performing in a game. Customers are the same. 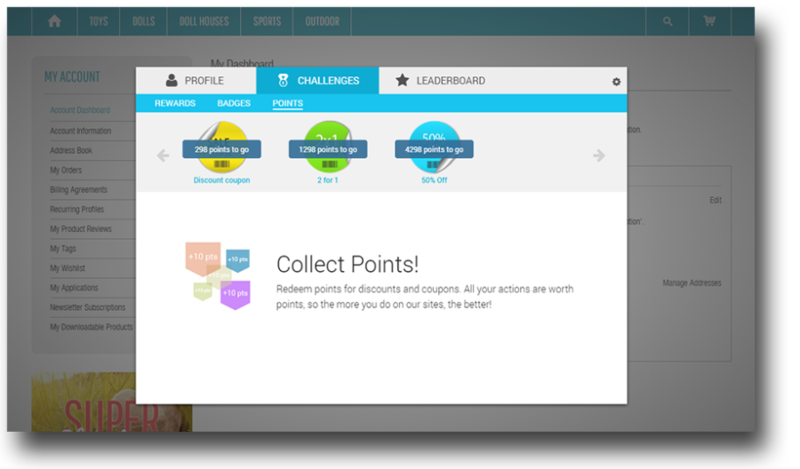 Badges, points and levels represent their customer status and achievements. Gamification is undoubtedly a smart and exciting methodology for engaging customers and attracting new ones. Let yourself focus more on their enjoyment instead of money. What makes my customers happy? How can I get them to spend more time in my webshop? How can I reward their actions? Modern loyalty programs are built around the answers to these basic questions. Learn more about gamification and loyalty programs by downloading our free ebook. It’s worth a read if you would like to level-up your marketing.